"'She's a whirlwind,' my dad says that night. 'A force of nature.' He is not wrong." Goodreads Summary: Bad things happen everywhere. Even in the land of sun and roses. 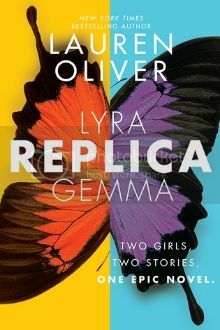 When Jude's best friend is found dead in a swimming pool, her family calls it an accident. Her friends call it suicide. But Jude calls it what it is: murder. And someone has to pay. Now everyone is a suspect--family and friends alike. And Jude is digging up the past like bones from a shallow grave. Anything to get closer to the truth. But that's the thing about secrets. Once they start turning up, nothing is sacred. And Jude's got a few skeletons of her own. First Thought After Finishing: This story might be short, but it packs a lot into its pages! I’m always fascinated by YA stories where the teenage experience is so different from my own. I lived on the east coast in a relatively conservative town, and my summers were filled with camps and activities. I was very lucky. Moreover, life with my friends was quite uneventful. Jude’s life is completely the opposite, and it paints an all-too-vivid picture of what reality can be like. Although the story is from Jude’s perspective, Maggie is just as important of a character. I think we’ve all known a Maggie, someone who seems to draw so many others into their orbit and make things better. However, Maggie is not without her flaws, and Jude is forced to admit that as she relives memories and starts to piece together the story of Maggie’s last days. Even so, one of my favorite things about Jude is her dedication to her friend. She isn’t willing to let Maggie go without having all of the answers about her death. Jude’s journey to the truth about Maggie’s death is just as much a journey of Jude trying to understand herself and her place in her friend group and family. Maggie’s friendship had been a form of escape, and now Jude has to confront her past, her choices, and her feelings for Joey. And there were so many times I just wanted to say, “Poor Joey.” He is loyal to a fault, definitely “best friend and more” material, and yet their relationship is not the easy trope it could have been. We meet their other friends as well, and each one has their own story and their own things to hide. There are layers of emotions and histories to sort through, yet I still wanted more so that I could fully understand the characters’ journeys. But even with limited words, the character dynamics and the story itself are not things I am likely to forget. 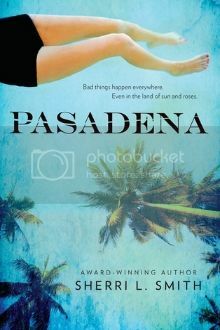 Most Memorable Aspect: This book focuses on darker issues and makes you think about the kind of person and friend you want to be. Goodreads Summary: Nothing says Happy Birthday like summoning the spirits of your dead relatives. First Thought After Finishing: I knew I always loved books about witches for a reason! Alex—short for Alejandra—is a Brooklyn bruja from a powerful family. But while her sisters embrace their powers, Alex wants to be rid of them. She knows that no good can come from her magic, and she is dreading her Deathday celebration. When she meets a brujo boy, he tells her there might be a way to get what she wants. 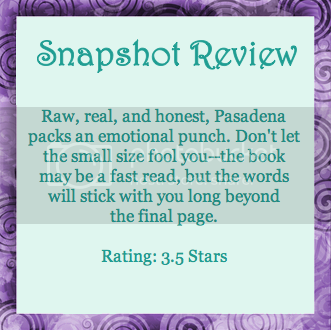 Only her plan backfired, and her family ended up in Los Lagos, an in-between land. 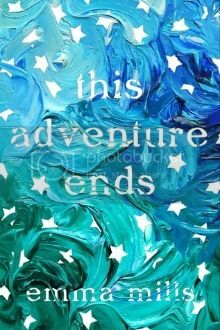 In order to get them back, she will have to embrace everything she has try to run from, trust someone she barely knows, and discover that some bonds go beyond worlds. Growing up, one of my favorite book series was about witches. 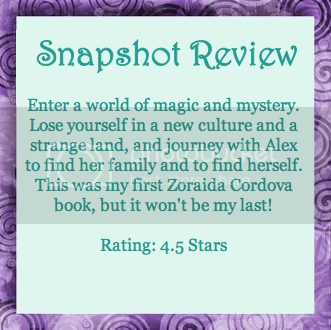 I’ve never read any of Zoraida Cordova’s work before, but a story about witches infused with Latin American culture had to be on my to-read list. And just like the Devourer in Los Lagos, I devoured this story—but in a good way. From the beginning, I loved seeing Alex’s family dynamic. Being an only child, I always wanted sisters. These sisters were the kind I always imagined having—sometimes on each other’s case, but always having each others’ backs. Alex’s deceased family members also have an important role, and it made me wish there were ways to communicate with our ancestors. Los Lagos itself is as inventive as it is dangerous and unpredictable. 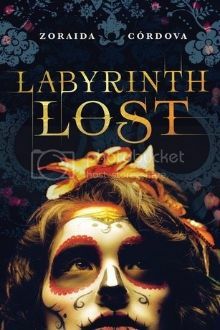 I loved meeting the different tribes of creatures there as Alex and the others traveled to the labyrinth. Then there were Nova, the guy you want to like but aren’t quite sure if you should, and Rishi, the BFF every girl should get to have. They both have their own stories, and I wanted to know them just as much as Alex. The story made me want to pull all of the characters into a huge group hug, and then let them go because I had to know what was coming next. Most Memorable Aspect: I loved the excerpts from the bruja history and Book of Cantos that began every chapter. I wish there was a way to learn more about this world!